Learn kitesurfing at one of our kitesurfing schools in Europe and around the world. We offer you top-quality instruction with courses ranging from beginner to advanced, as well as kiting camps and events with cutting-edge F-ONE equipment and professional instructors. In short, you can be sure that getting “on board” will be fast, safe and fun. The goal of our concept for sustainable training is that after completing your course, you will be able to continue practising what you have learnt – independently and, above all, safely. We’ve selected the very best kitesurf spots for you, ensuring perfect conditions for kitesurfing. All you have to do is book our all-inclusive package, which includes the flight, kitesurfing course and accommodations for your holiday at the kiting centre of your choice. When you kitesurf, you stand on a kiteboard (similar to a wakeboard or surfboard) and pilot your kite, which pulls you across the water. You experience the carefree feeling that comes from gliding over the water just as in surfing, but also the power of the wind, which is considerably easier to control than in windsurfing. Thanks to the advances that have been made in equipment design, kitesurfing has developed into a safe sport that can be learnt quickly and easily. Nonetheless, you should start with a professional kitesurfing course; kitesurfing can be extremely dangerous if you don’t. Your professional KBC instructor guides you to quick success through safe, sustainable training. The KBC concept gives you the tools you need to use your kite and board safely and independently once you have completed the course. In 2000 Thomas Beckmann founded the Kiteboarding Club (KBC) – which now includes 9 kitesurfing schools worldwide where you can learn to kitesurf safely, successfully and having fun while you do so. We offer courses for all skill levels at each of our Centres. You enjoy exercise and outdoor sport. Where can I learn kiting? The ideal spot to learn kitesurfing is one with water that is knee- to hip-deep, a stable, consistent wind and space on the water. How do I learn kitesurfing? This course is perfect for anyone with previous experience in water sports, snow sports or wind sports and/or for gifted fast-learning individuals. For those who have limited to no previous experience or who simply want very thorough training, we recommend the Intensive Basic Course. The Basic Course consists of 8 hours in a group, spanning over 2-3 days of lessons, depending on conditions. Students will learn the essential elements of kitesurfing in groups of 2 to 6 people. In order to practice and to master the techniques, the second part of the course allows for plenty of practical training time. The aim of the course is to enable you to practice safely on your own after the course. What equipment do you need for a kitesurfing course? For your KBC kiting course, you will be provided with a long Neoprene suit (with the exception of KBC El Gouna in midsummer). This keeps you warm and protects your skin. Neoprene shoes protect your feet from rocks, surface irregularities and hypothermia. Most KBCs include the hire fee for these shoes along with the course. The Seat harness makes it easier for you to hold your kite. During the course, your instructor will help you familiarise yourself with all of the harness’s safety features. In warm regions, instead of the neoprene suit you’ll wear board shorts and a Lycra® shirt. It protects you from UV radiation and makes you more visible on the water. In very sunny regions we recommend wearing Water sports glasses. You can purchase these in advance from the KBC Shop or at the on-site KBC shop. Sun protection is an absolute must on the water. The sunscreen you choose should be waterproof and wear-resistant, like Island Tribe Clear Gel, which is available directly from the KBC. The course fee includes hire of your kiting gear: a kiteboard suitable for beginners, the kite bar, the kite und the leash. Your kiting instructor will explain all you need to know about the material and construction. For some years now, KBC has partnered with the F-ONE kitesurfing brand, whose compelling new developments make kitesurfing easier with every season. In particular, F-ONE has achieved a breakthrough with its kites, combining every desired feature into a single model: the F-ONE Bandit. Ideal for beginners and advanced kitesurfers, for freeride and for waves, for unhooked freestyle and for high jumps with a lot of hang time. We are so confident in these products that you are welcome to test them all at no charge. And if you like them as much as we do, you can buy your kite and board from us on the spot. We are so confident in F-ONE kites and boards that you are welcome to test all of their products at no charge. And if you like them as much as we do, you can buy your kite and board from us on the spot. All of our KBC Centres are official F-ONE test centres. 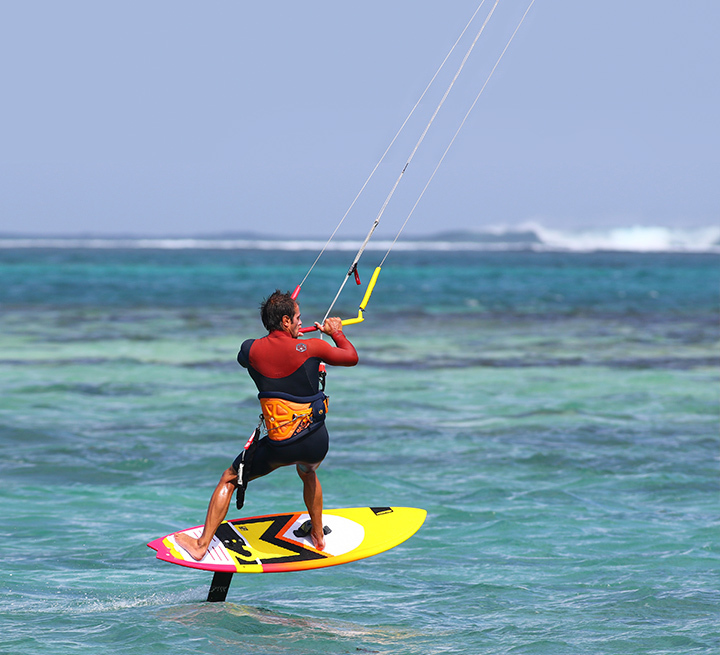 We have the latest kites and boards available for you to test. Get in touch with us – we’ll be happy to advise you! Der neue BANDIT XII hat eine noch breitere und effektive Wind Range. So hast du auch bei wechselnden Windstärken gute Bedingungen. The feeling of how you can feel the power of the wind and control it with the bar feedback just has to be right. The main concern of the designers of BANDIT XII was that you always get excited about the water and every kitesession is a good kitesession, despite gusts and changing wind. Small kites are known to be more fun because they are more reactive and lighter. The designers of the BANDIT XII have managed to maintain this feeling even with the big kite sizes. Reduced lateral forces make cruising easier and less strenuous. A fantastic low end and unbelievable comfort in the middle and at the top of the wind range. Ankanten has never been so easy and your jumps never higher. SOON YOU CAN TEST THE BANDIT XII AT OUR TEST CENTRES. We have detailed insider knowledge about the region and are happy to provide you with a complete package of flights, transfers, accommodation and kite services. Please fill out the form (* = required). Our partner for travel sun + fun will contact you as soon as possible with a personal offer. *I have taken note of the notes on data protection . sun+fun is our professional partner for worldwide kitesurf holidays. If you are interested in a complete travel package, it's the agency to contact. 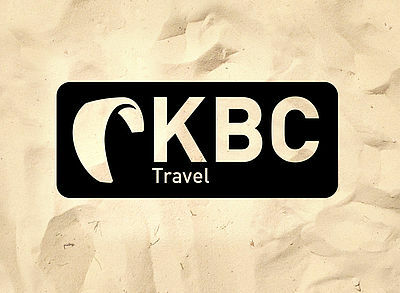 The KBC Team will be happy to answer any questions that you may have.